Mat Pilates hits your core unlike any other type of exercise out there. It will deliver a great total body Pilates workout featuring classical Pilates Exercises on the mat without any equipment. 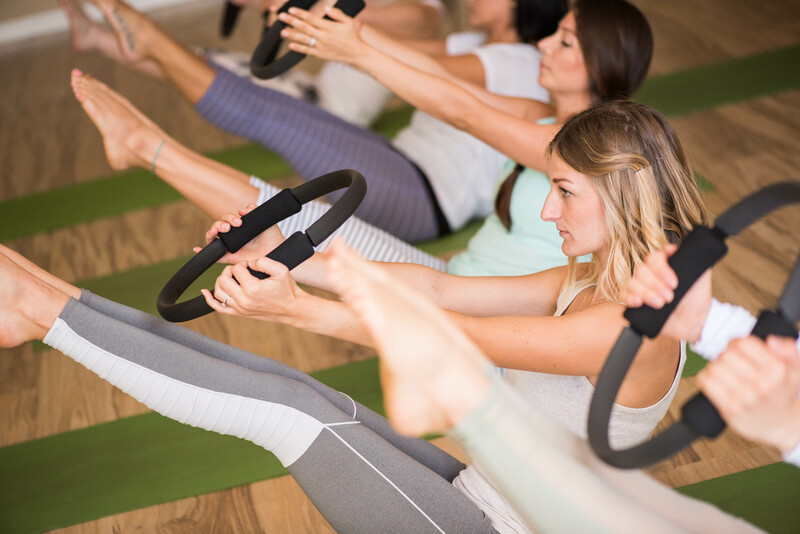 Whether you’re a Pilates beginner or a Pilates expert practitioner, Mat Pilates All Levels will deliver a great total body Pilates workout featuring classical Pilates Exercises without equipment or props on the mat. It’s a system of exercises that engage the mind and condition the total body focusing on control. The blend of strength and flexibility training improves posture, reduces stress and creates long, lean muscles without bulking up. Mat Pilates with Props classes feature classical Pilates exercises performed on a Pilates mat, but spices up traditional Pilates workouts with the use of Pilates props such as the small ball, stretch band, Pilates ring, foam roller, etc. The variety in Mat Pilates with Props classes ensures that each Pilates workout provides a total body workout that strengthens the core, tones the hips and thighs, and flattens the abs. Featuring one of our most popular Lunchtime classes. This fusion class involves Mat Pilates as well as Yoga using the Foam Roller for strengthening and stretching following in Savasana at the end with Aroma Therapy, so you get the best of both worlds – a perfect way to break your day.